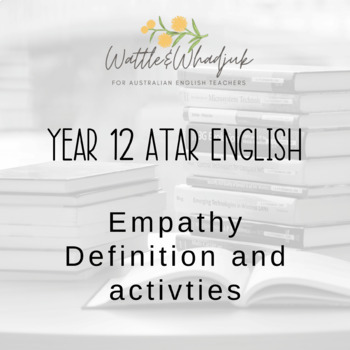 This resource is an informational document that defines and explains the terms 'empathy' and 'controversy' in a way that aligns with the Western Australian syllabus. It also contains sample writing about both terms so students gain an insight into how they might be articulated in writing when it comes to texts. It is also a useful informational resource for teachers, of particular use to those who are new to the teaching of 12 ATAR English. 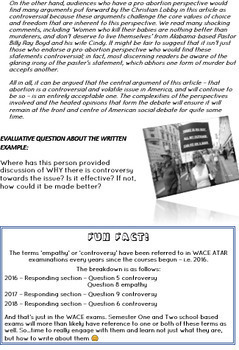 It is designed to be used with the other four resources on empathy and controversy, also located on the shelf in The Aussie Lesson Larder.